After developing a nationwide network of Thermawood installers in New Zealand, Thermawood New Zealand have expanded into the Australian market. With franchise opportunities now available in Victoria, New South Wales and South Australia, we are looking for franchisees to build a successful future with a solid and well-established brand. Franchises now available in New South Wales, Victoria and South Australia. Email: info@thermawood.com.au | Phone: 04 555 55 330 | Address: Po Box 1007 | South Melbourne Vic 3205. 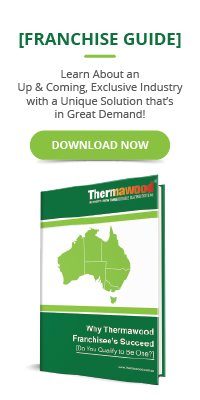 Download the guide “Why Thermawood Franchisee’s Succeed”, read through it and consider the exciting opportunity that is being offered. If you are excited and enthusiastic about becoming part of our Thermawood Franchise Network then complete the Expression of Interest form HERE! or by clicking the button at the bottom of the page. If your supplied information matches our franchisee criteria, we will contact you to arrange a meeting. All information supplied by you to Thermawood will be treated in the strictest confidence. We will assess your application and credentials. If there is mutual compatibility and an agreement to proceed, we will then provide you with confidential detailed information that will allow you to prepare your own plans and take the necessary professional advice to help you make your final decision on whether to become a Thermawood Franchisee. We thank you for your consideration of owning and running a Thermawood franchise and look forward to hearing from you soon.